On Saturday, 7 July, thousands of visitors will descend on Durban’s Greyville Racecourse, elegantly dressed in the fitting ‘It Is Time’ theme of this year’s Vodacom Durban July, waiting for the grand moment when the horses storm down the home straight in the main race. But the big question remains, who will win? 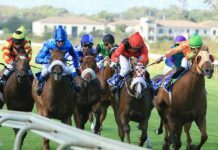 Here are five horses to consider backing at the 2018 Vodacom Durban July. His recent performance in the Pinnacle at Greyville pushed African Night Sky to the top of the Vodacom Durban July list. Trained by renowned Capetonian, Justin Snaith, the four-year-old race favourite is likely to be ridden by Anton Marcus, a four-time Durban July champion (winning previously on Dancing Duel in 1993, El Picha in 2000, Dunford in 2005, and Hunting Tower in 2007). Marcus will race African Night Sky in the Cup Trial on 9 June before the July, and, if all goes well, he’ll be heading to the big race. Another of Snaith’s contenders, Elusive Silva has really made his presence felt after his recent victories at the Grade 2 World Sports Betting (WSB) 1900 and Listed Sledgehammer over 1800m – both at Greyville. At the 2017 Vodacom Durban July, Elusive Silva was the third favourite for the main race following wins at the Listed Sledgehammer and Cup Trial but was unfortunately scratched after straining a tendon in the gallops. If the conditions on race day are wet, Elusive Silva has an even better chance – he managed to top the field on extremely soft conditions following the recent rains. The joint second-favourite is definitely one to consider. From Silva to Gold Standard. This four-year-old colt wants the chance to truly show his ability and the Vodacom Durban July could be it. Gold Standard comes from really great stock, sired by USA-bred Trippi, one of the world’s greatest three-year-old sprinter-milers of 2000. 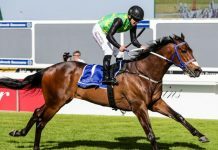 Trainer, Glen Kotzen, has believed in Gold Standard since day one, finishing second on his debut race, and is confident about his chances at the Vodacom Durban July. Former Triple Crown winner, Abashiri is again a firm favourite to win the Vodacom Durban July. Trainer Mike Azzie was happy with his draw of 2 and jockey, Pierre Strydom is a two times Vodacom Durban July winner. The 6 year old Bay Gelding seems to have the stars aligning for success. The 5 year old Chestnut Gelding finally saw glory at the Premier’s Champions Challenge held at Turffontein in May this year and was also named as Highveld Horse of the Year 2018. He started the Highveld season with a merit rating of 93 and at the conclusion was rated 118. Owned by Sylvia Vrska and Colin Bird, this five-year-old son of Judpot out of Rich Man’s Gold mare Coral Tree, has now earned R3,443,025 in stakes. A strong contender and certainly on a winning streak. Click here to view the final field of runners and their betting odds. 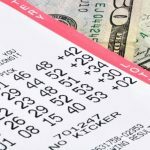 Not sure how to place a bet? Read our handy guide on How to Place a Horse Race Bet here. Place your horserace bets today. 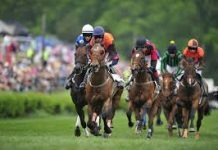 For specialized and comprehensive local and international horserace betting, rugby, tennis, soccer, cricket, golf and motorsport betting, as well as extensive in house and online sports betting facilities, visit Keith Ho BetXchange for the most competitive prices and the largest sports betting options available in South Africa. 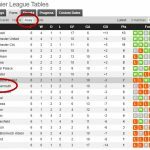 Please note betting odds quoted are correct at time of publication and are subject to change.